On 9 April, the festival “Rendez-Vous, Appuntamento con il nuovo cinema francese”, held in Rome, focussed on improving the distribution of European cinema in theatres, public television channels and video on demand (VOD) platforms, and the state of copyright in Europe. At the end of this meeting, a group of European filmmakers launched the following appeal. Our films are a form of hope, and they humbly but surely contribute to the construction of a European identity. At a time when a number of our countries are facing new and difficult political and social trends, a glimmer of hope can be found in cinema. This is why it is our responsibility to think of ways to improve the circulation of national works throughout our continent. We have to do so while making sure we do not hinder the vitality of cinematographic creation. It is not right that European cinematography should struggle for access to its European audiences. Therefore, we ask the public authorities of Europe, our national regulatory parties for cinema, the EFAD, and even the television broadcasters, to collectively come up with affirmative measures for the distribution, broadcasting and promotion of European films. 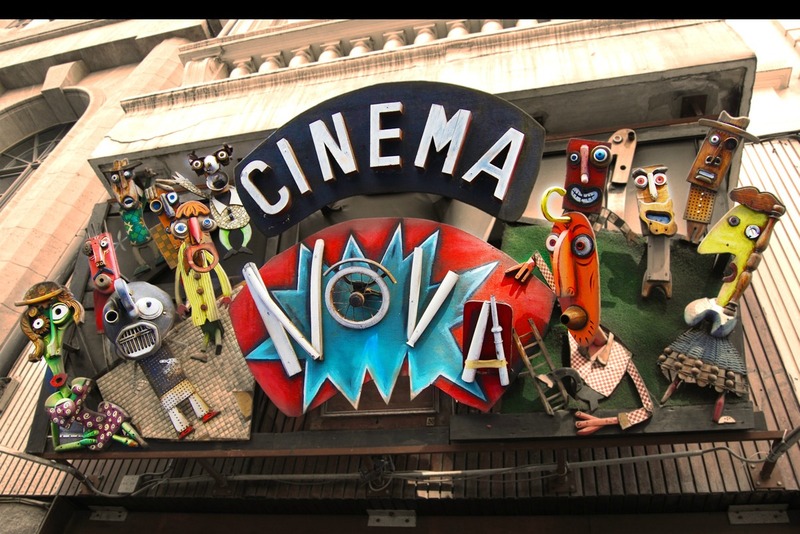 – With the movie theatres: efforts have to be maintained to mitigate the theatrical deserts that still exist in a number of places. We must do our best to avoid the closing down of existing theatres, while continuing to set up new ones. Independent theatres should not be left behind in terms of digital equipment. We need to pay particular attention to how we can accelerate and facilitate theatrical distribution on a European scale: movie theatres remain the best places for audiences to discover films. – With TV broadcasters: we ask that public broadcasters work on a charter to improve the distribution of European films between themselves throughout Europe, with a focus on exchanges, but also mutual and reciprocal programming. They should also be aided in the development of their digital versions. We hope for an independent European digital film platform, and TV broadcasters could very well be at the core of such an initiative. – With VOD platforms: we need to rethink our regulation so that it is apt and to date. It should enable the rise of a European player, capable of competing with existing global VOD players. The Internet has long been a subject of concern to us, particularly as it has helped piracy develop to previously unseen levels. We want to believe it can today become the best partner of European cinema. It can be part of the virtuous circle that comes from sharing wealth and value between all those who contribute to the financing of creation, as they become exceptional means of exhibiting our films. For all of this to be possible, the European commission has to adapt some of its directives, whether it is to specifically address the audio-visual media or their tax system. The commission needs to set itself two goals: to spur the development of the European players that finance European cinema, and to bring the global internet giants into the tax system and economy of the creative arts. We must urgently devise a cultural tax system which the global players should adhere to. The ideas of the French Minister of Culture Fleur Pellerin concerning a tax on bandwidth usage should be taken into consideration and thought through. We have already asked the European Commission to develop new means, through Creative Europe, for quality subtitling and adaptation of European films in other European languages. The availability of our films in other languages is what makes their circulation by TV broadcasters and VOD platforms possible. It also helps to accelerate theatrical distribution on a European and global scale. The legal availability of films is ever more obviously a way to hinder piracy and prevent its disastrous effects on creativity. The European commission has to take an effective and courageous stance against piracy, and needs to promote initiatives that boost the availability of films throughout Europe. We share the European Commission’s aim to make films available to all. Films are an essential part of visual education, and are without a doubt a path to higher thinking. Let us address this aim in the right way: mistakes could be destructive to European filmmaking. Our common grounds such as copyright or cultural exception have to be protected and be at the core of a new European cultural policy. This editorial has been signed by a number of European filmmakers: Lucas Belvaux, Emanuele Crialese, Jean-Pierre Dardenne, Luc Dardenne, Dante Desarthe, Matteo Garrone, Costa Gavras, Amos Gitaï, Michel Hazanavicius, Kamen Kalev, Paul Laverty, Mike Leigh, Ken Loach, Daniele Luchetti, Ursula Meier, Cristian Mungiu, Rebecca O’Brien, Jean-Paul Salomé, Volker Schlöndorff, Maurizio Sciarra, Abderrahmane Sissako, Paolo Sorrentino, Béla Tarr, Joachim Trier, Fernando Trueba and Wim Wenders.